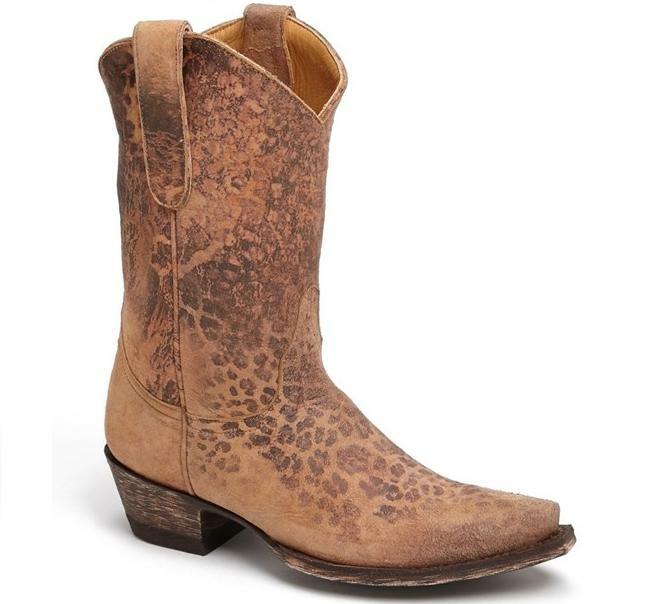 A muted leopard pattern lends an exotic vibe to a handcrafted leather boot finished with a scuffed leather outsole and heel for a well-worn look from the start. Approx. heel height: 1 1/2″. Approx. boot shaft height: 10″; 13″ calf circumference.